Schizophrenia (Dementia Praecox) Association for Research in Nervous and Mental Diseases. A Series of Research Publications. This volume is the fifth in the series published by the Association for Research in Nervous and Mental Diseases. The subject matter is well arranged and begins with an historical survey and delimitations, this being followed in logical sequence by chapters on statistics; heredity and constitution, including personality; special etiologic considerations: affective, toxic, infectious; investigative aspects, language and art productions, pathology, and ending, as all books should, with a discussion of the prognosis and treatment of the subject. 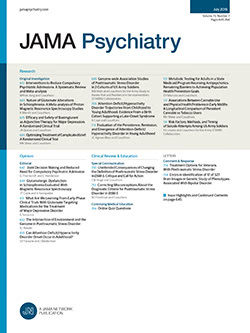 In effect, the work gives an up-to-date conception of the modernview of schizophrenia, and while most of the papers are not original, a few of them are of extraordinary merit.